Training dogs is the primary activity of Alfadog center – many years of work and vast experience in all forms of training is our best reference. Training is conducted throughout the year by FCI syllabus or the desires of the owner. Training is a specialized type of interaction with the dog through which the dog learns to perform certain tasks, so it has an effect on his behavior, but it is also a practical way of adapting to life in the home and with the community. 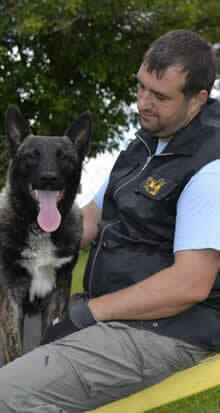 Depending on the needs and desires of the owner Alfadog team trains dogs of all breeds for different purposes. 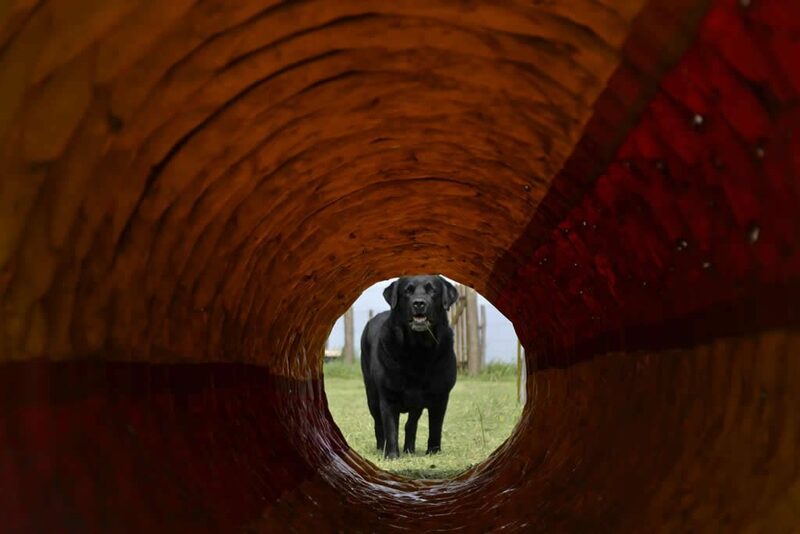 Throughout the training we prepare dogs for: official-police-military purposes, sporting, hunting, agility and rescue; also for specialized purposes such as: detection of explosives, illegal substances, blood trailing, searching for truffles. 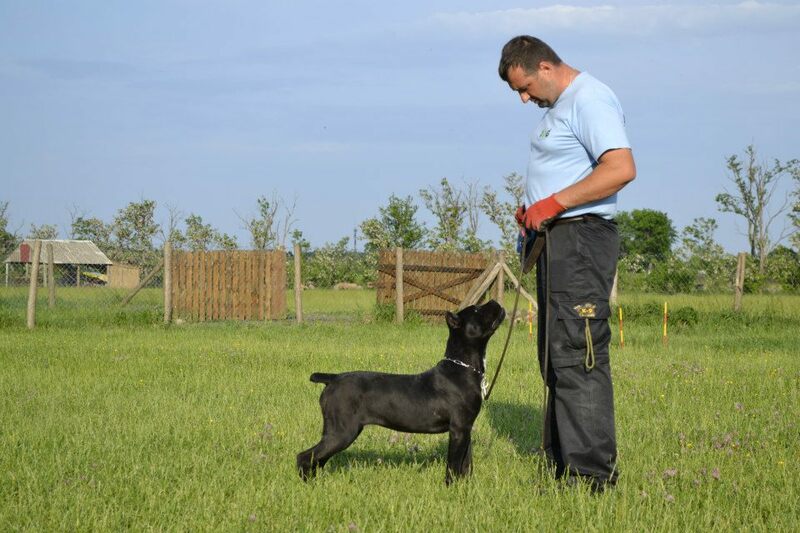 We also prepare dogs for exibitions – ring training, professional conditioning training dogs for various competitions. Most sought by owners is basic obedience of pets, personal protection and guard duty. For each dog we draft a training assemble receiving list, as well as contract rights and obligations of both parties, the owner and the centre. After the training completion we do a presentation of the work, and on-site we submit commands to the owner which includes the training of the owner. With each trained dog owner can receive video footage of the training presentation including an explanation of the principles and methods of work. We leave the owner to decide what type of training best suits their needs and desires. If you have doubts of any kind, call us or visit us and we will assist you in choosing the best solution for yourself and your dog. With great pleasure we present Agility Friskies club Novi Sad within Alfadog center, which is also the first official agility club in Serbia. 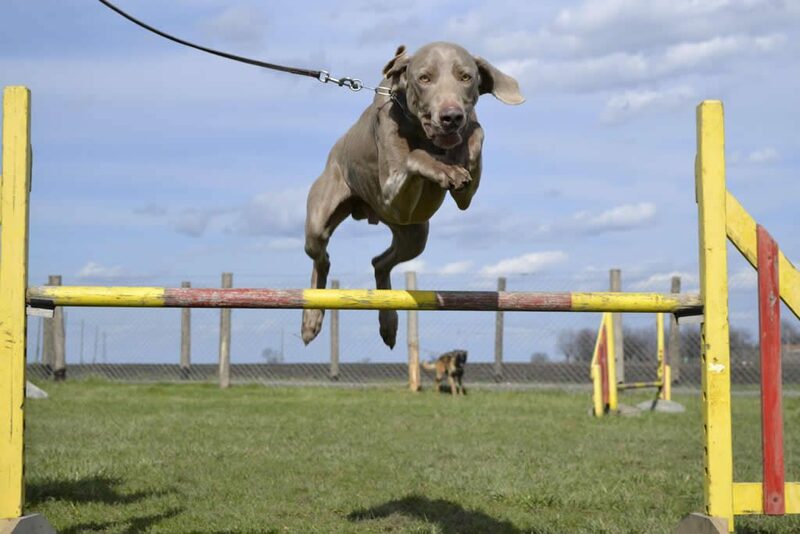 Agility as a sport is one of the best ways to embellish and enrich the life of your pet. 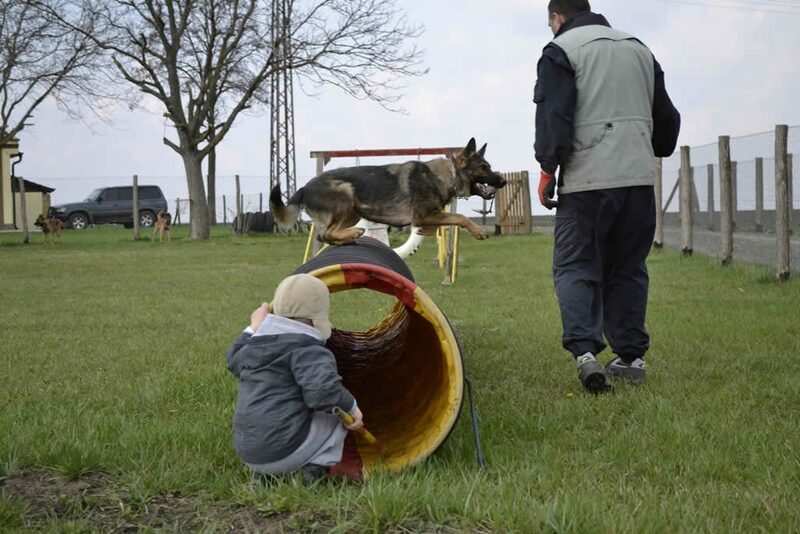 It is a specific activity in which the handler and the dog go through an obstacle course. An agility course consists of a set of standard obstacles (contact obstacles, tunnels and jumps), which require physical stamina and dexterity to pass. Dogs run off leash with no food or toys as incentives, and the handler can touch neither dog nor obstacles. Agility, mobility and resourcefulness plays a vital role in overcoming the specific given order of the course. 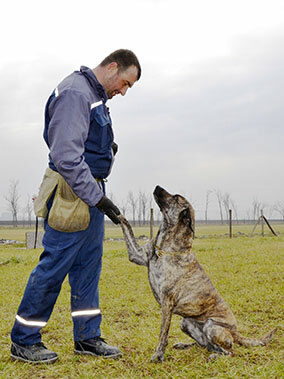 This kind of activity extremely develops and strengthens the relationship and cooperation between the handler and the dog. If you are looking to enrich and ennoble life with your dog – the recreational Agility Friskies club is the right place to start. 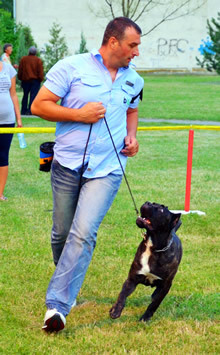 Handling dogs at shows requires an experienced handler, one who can lead the dog so that it can show off all of its attributes. 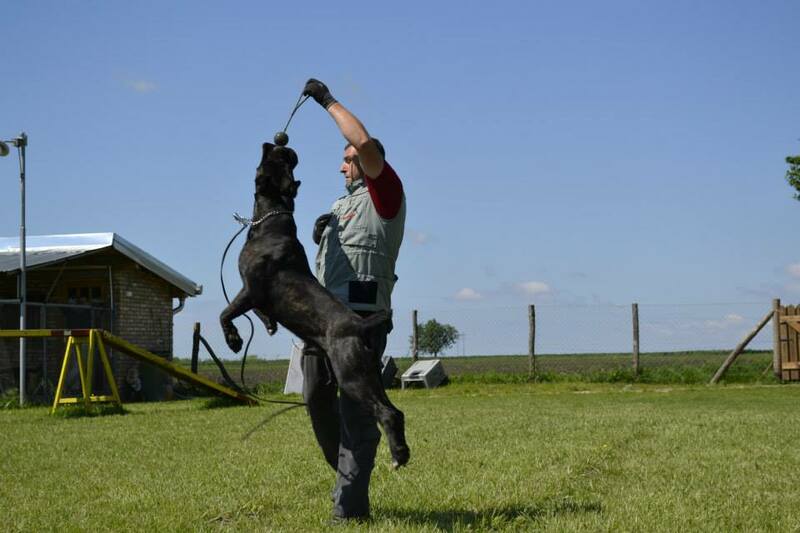 For ring training and handling, you must contact us in a timely manner, so that the handler has the time to become familiar with the dog. Establishing good communication is crucial because before judges – everything must be perfect.